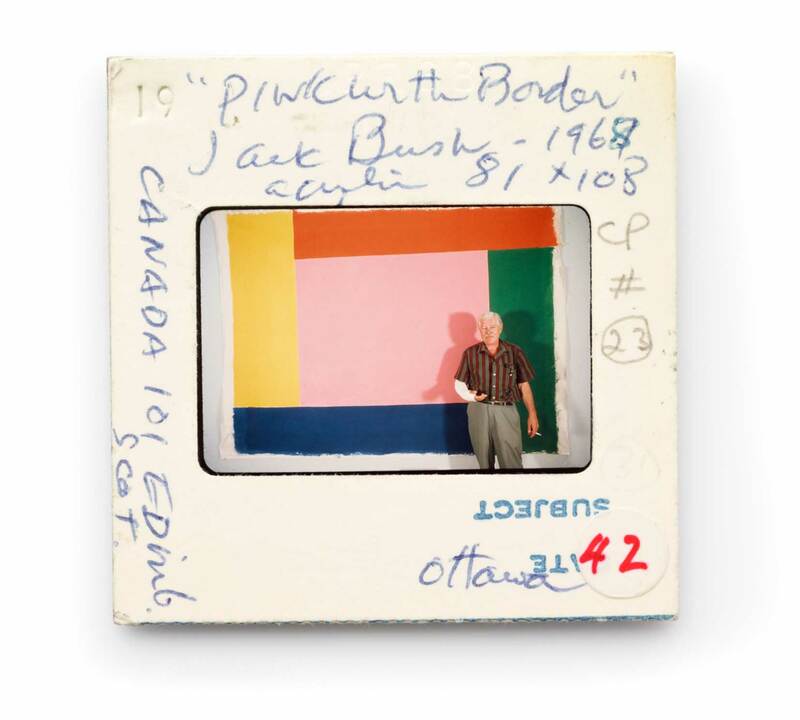 The compilation of a comprehensive record of paintings produced by the Canadian artist Jack Bush (1909 – 1977) is currently in process and made possible by the Estate of the artist. The catalogue raisonné will thoroughly document more than 1,600 paintings, including full information on provenance, exhibitions, bibliography, excerpts from the artist's own diary, and so much more. We are still accepting submissions! For more information regarding inclusion in the catalogue raisonné, please contact Dr. Sarah Stanners. Download the catalogue raisonné submission form by clicking here. The catalogue raisonné will be published in full hardback as a set of four volumes, forthcoming in 2020. If you would like to be on our mailing list for updates about the project, please send your mailing and email addresses to contact@jackbush.org. If you have already had your painting documented your contact information is already on file. The artist's youngest son Terry Bush represents the Estate of Jack Bush. For information regarding the Estate holdings and other matters outside of the interests of the catalogue raisonné, please email Terry Bush at bushheritage@hotmail.com. 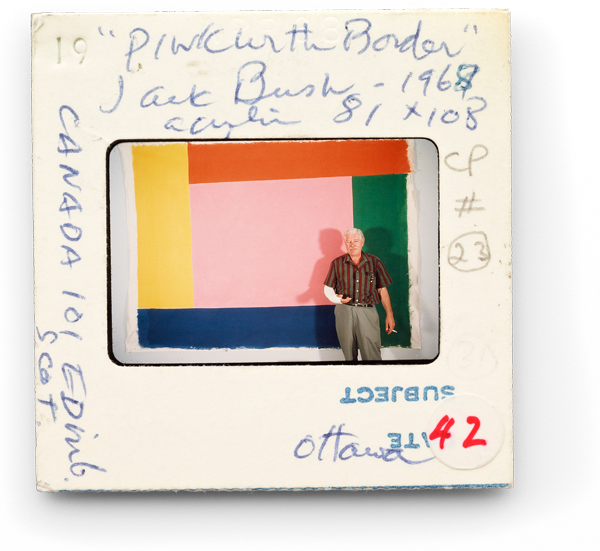 The Jack Bush Catalogue Raisonné is a not-for-profit scholarly project, which is currently accepting donations via its institutional affiliate, the University of Toronto, Department of Art. Download a pledge form by clicking here. Charitable tax receipts for both Canadian and US citizens can be issued by the University of Toronto.